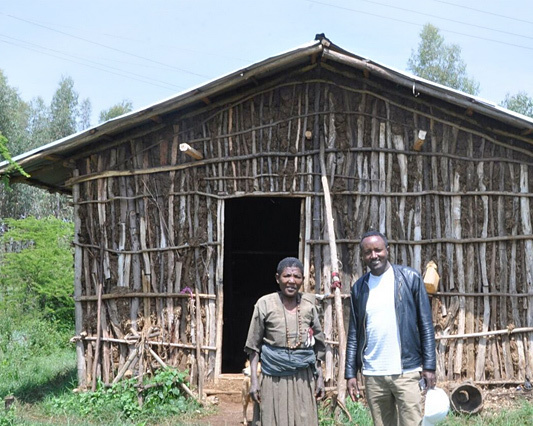 Project Ethiopia is a volunteer organization that, with active village engagement, helps rural Ethiopian villagers access primary education, clean water, sanitation facilities, sustainable farming support and healthy housing. We work in a remote, rural area of northwest Ethiopia where other aid money often does not reach. 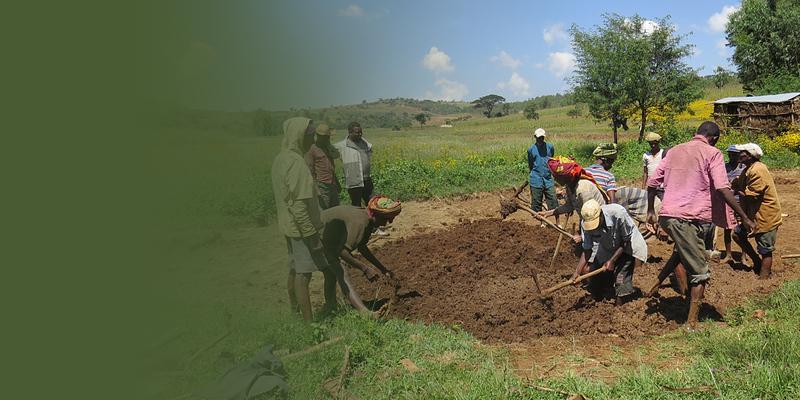 Project Ethiopia does not operate as a traditional non-governmental organization (NGO), but rather utilizes a model in which we work side-by-side with the community, developing camaraderie and earning the trust of our village partners. Our projects empower villagers to work cooperatively to improve the community as a whole; addressing big challenges through the energy and commitment of many hands and hearts. Since the beginning, our projects have also been guided by the priorities set forth in the United Nations Millennium Development Goals for 2015 related to education, clean water, sanitation, adequate housing, and sustainable economic activity. The newly adopted UN Sustainable Development Goals for 2030, which embodies the Millennium priorities and more, now serve as our framework. 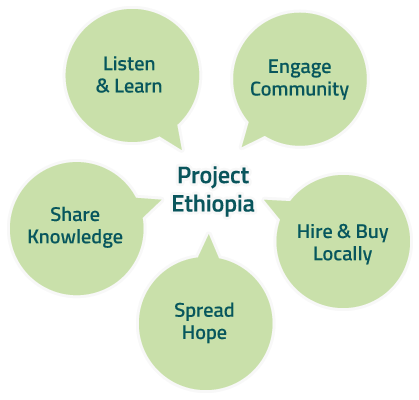 With so many pressing community needs, this helps Project Ethiopia to prioritize and focus on what we do best. 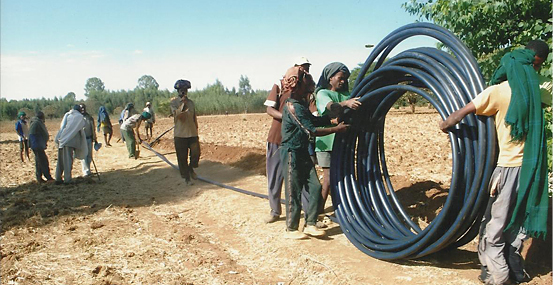 What is at the heart of Project Ethiopia ’s effectiveness and impact? 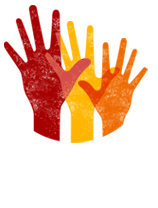 5 Powerful Practices that serve as the foundation of our program model. A $350 donation will provide metal roofing for a family in need!